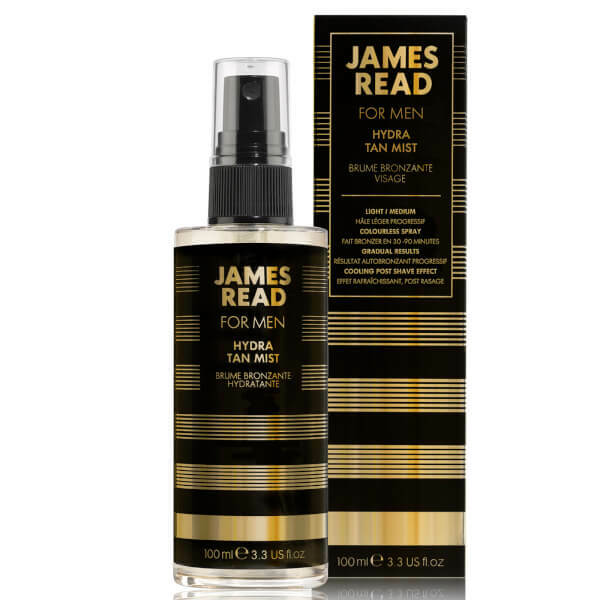 James Read Hydra Tan Mist for Men is an energising facial mist that instantly hydrates skin while adding a hint of tan. Lightweight and colourless, the mess-free formula delivers a gradual tanning effect, allowing to you to build a deeper colour on each application. Formulated with a unique blend of cooling agents and Tantone Technology™, the facial mist delivers natural-looking results for your individual skin tone, and allows you to control colour intensity with gradual results. Fast-drying and layerable, the hydrating tan will invigorate the skin and promote a healthy glow. Infused with a Fig and Ginger fragrance. Perfect post-shave.